Since yesterday was Independence Day, I thought I should share a recent piece of research I made available. A few months ago, I completed a working paper which has now been accepted as a book chapter regarding public choice theory insights for American economic history (of which I talked about before). That paper simply argued that the American Revolutionary War that led to independence partly resulted from strings of rent-seeking actions (disclaimer: the title of the blog post was chosen to attract attention). The first element of that string is that the Americans were given a relatively high level of autonomy over their own affairs. However, that autonomy did not come with full financial responsibility. In fact, the American colonists were still net beneficiaries of imperial finance. As the long period of peace that lasted from 1713 to 1740 ended, the British started to spend increasingly larger sums for the defense of the colonies. This meant that the British were technically inciting (by subsidizing the defense) the colonists to take aggressive measures that may benefit them (i.e. raid instead of trade). Indeed, the benefits of any land seizure by conflict would large fall in their lap while the British ended up with the bill. The second element is the French colony of Acadia (in modern day Nova Scotia and New Brunswick). I say “French”, but it wasn’t really under French rule. Until 1713, it was nominally under French rule but the colony of a few thousands was in effect a “stateless” society since the reach of the French state was non-existent (most of the colonial administration that took place in French North America was in the colony of Quebec). In any case, the French government cared very little for that colony. After 1713, it became a British colony but again the rule was nominal and the British tolerated a conditional oath of loyalty (which was basically an oath of neutrality speaking to the limited ability of the crown to enforce its desires in the colony). However, it was probably one of the most prosperous colonies of the French crown and one where – and this is admitted by historians – the colonists were on the friendliest of terms with the Native Indians. Complex trading networks emerged which allowed the Acadians to acquire land rights from the native tribes in exchange for agricultural goods which would be harvested thanks to sophisticated irrigation systems. These lands were incredibly rich and they caught the attention of American colonists who wanted to expel the French colonists who, to top it off, were friendly with the natives. This led to a drive to actually deport them. When deportation occurred in 1755 (half the French population was deported), the lands were largely seized by American settlers and British settlers in Nova Scotia. They got all the benefits. However, the crown paid for the military expenses (they were considerable) and it was done against the wishes of the imperial government as an initiative of the local governments of Massachusetts and Nova Scotia. This was clearly a rent-seeking action. The third link is that in England, the governing coalitions included government creditors who had a strong incentives to control government spending especially given the constraints imposed by debt-financing the intermittent war with the French. These creditors saw the combination of local autonomy and the lack of financial responsibility for that autonomy as a call to centralize management of the empire and avoid such problems in the future. This drive towards centralization was a key factor, according to historians like J.P. Greene, in the initiation of the revolution. It was also a result of rent-seeking on the part of actors in England to protect their own interest. As such, the history of the American revolution must rely in part on a public choice contribution in the form of rent-seeking which paints the revolution in a different (and less glorious) light. Ever since Nancy MacLean’s new book came out, there have been waves of discussions of the intellectual legacy of James Buchanan – the economist who pioneered public choice theory and won the Nobel in economics in 1986. Most prominent in the book are the inuendos of Buchanan’s racism. Basically, public choice had a “racist” agenda. Even Brad DeLong indulged in this criticism of Buchanan by pointing that he talked about race by never talking race, a move which reminds him of Lee Atwater. The thing is that it is true that Buchanan never talked about race as DeLong himself noted. Yet, that is not a sign (in any way imaginable) of racism. The fact is that Buchanan actually inspired waves of research regarding the origins of racial discrimination and was intellectually in line with scholars who contributed to this topic. To see my point in defense of Buchanan here, let me point out that I am French-Canadian. 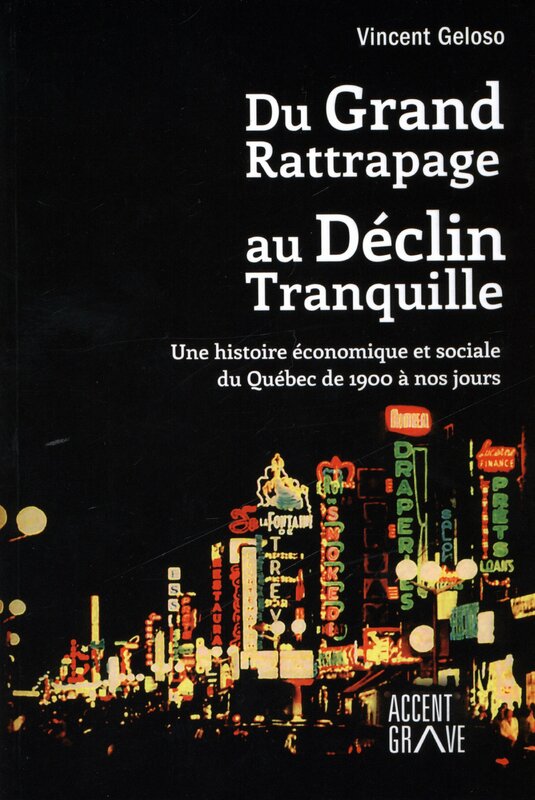 In the history of Canada, strike that, in the history of the province of Quebec where the French-Canadians were the majority group, there was widespread discrimination against the French-Canadians. For all intents and purposes, the French-Canadian society was parallel to the English-Canadian society and certain occupations were de facto barred to the French. It was not segregation to be sure, but it was largely the result of the fact that the Catholic Church had, by virtue of the 1867 Constitution, monopoly over education. The Church lobbied very hard in order to protect itself from religious competition and it incited logrolling between politicians in order to win Quebec in the first elections of the Canadian federation. Logrolling and rent-seeking! What can be more public choice? 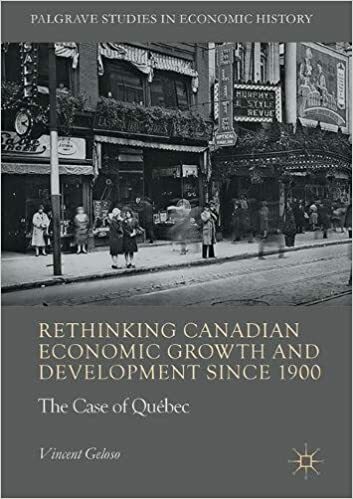 Nonetheless, these tools are used to explain the decades-long regression of French-Canadians and the de facto discrimination against them (disclaimer: I actually researched and wrote a book on this). Not only that, but when the French-Canadians started to catch-up which in turn fueled a rise in nationalism, the few public choice economists in Quebec (notably the prominent Jean-Luc Migué and the public choice fellow-traveler Albert Breton) were amongst the first to denounce the rise of nationalism and reversed linguistic discrimination (supported by the state) as nothing else than a public narrative aimed at justifying rent-seeking attempts by the nationalists (see here and here for Breton and here and here for Migué). One of these economists, Migué, was actually one of my key formative influence and someone I consider a friend (disclaimer: he wrote a blurb in support of the French edition of my book). Think about this for a second : the economists of the public choice tradition in Quebec defended both the majority and the minority against politically-motivated abuses. Let me repeat this : public choice tools have been used to explain/criticize attempts by certain groups to rent-seek at the expense of the majority and the minority. How can you square that with the simplistic approach of MacLean? If Buchanan didn’t write about race, he did set up the tools to explain and analyze it. As I pointed out above, I consider myself in this tradition as most of my research is geared towards explaining institutions that cause certain groups of individuals to fall behind or pull ahead. A large share of my conception of institutions and how state action can lead to predatory actions against both minorities and majorities comes from Buchanan himself! Nevermind that, check out who he inspired who has published in top journals. For example, take the case of the beautifully written articles of Jennifer Roback who presents racism as rent-seeking. She sets out the theory in an article in Economic Inquiry , after she used a case study of segregated streetcars in the Journal of Economic History. A little later, she consolidated her points in a neat article in the Harvard Journal of Law and Public Policy. She built an intellectual apparatus using public choice tools to explain the establishment of discrimination against blacks and how it persisted for long. Consider also one of my personal idols, Robert Higgs who is a public-choice fellow traveler who wrote Competition and Coercion which considers the topic of how blacks converged (very slowly) with whites in hostile institutional environment. Higgs’ treatment of institutions is well in line with public choice tools and elements advanced by Buchanan and Tullock. The best case though is The Origins and Demise of South African Apartheid by Anton David Lowenberg and William H. Kaempfer. This book explicitly uses a public choice to explain the rise and fall of Apartheid in South Africa. Few economists, except maybe economic historians, know of William Harold Hutt. This is unfortunate since Hutt produced one of the deepest and most thoughtful economic criticism of Apartheid in South Africa, The Economics of the Colour Bar. This book stands tall and while it is not the last word, it generally is the first word on anything related to Apartheid – a segregation policy against the majority that lasted nearly as long as segregation in the South. This writing, while it earned Hutt respect amongst economists, made him more or less personae non grata in his native South Africa. Oh, did I mention that Hutt was a public choice economist? In 1971, Hutt published Politically Impossible which has been an underground classic in the public choice tradition. Unfortunately, Hutt did not have the clarity of written expression that Buchanan had and that book has been hard to penetrate. Nonetheless, the book is well within the broad public choice tradition. He also wrote an article in the South African Journal of Economics which expanded on a point made by Buchanan and Tullock in the Calculus of Consent. Oh, wait, I forgot to mention the best part. Buchanan and Hutt were mutual admirers of one another. Buchanan cited Hutt’s work very often (see here and here) and spoke with admiration of Hutt (see notably this article here by Buchanan and this review of Hutt’s career where Buchanan is discussed briefly). If MacLean wants to try guilt by (inexistent) association, I should be excused from providing redemption by (existent) association. Not noting these facts that are easily available shows poor grasp of the historiography and the core intellectual history. Buchanan inspired a research agenda regarding how states can be used for predatory purposes against minorities and majorities which has produced strong interpretations of racism and discrimination. He also associated with vehement and admirable anti-racists like William H. Hutt and inspired students who took similar positions. I am sure that if I were to assemble a list of all the PhD students of Buchanan, I would find quite a few who delved into the deep topic of racism using public choice tools. I know better and I did not spend three years researching Buchanan’s life. Nancy MacLean has no excuse for these oversights. Has Canada been Poorer than the US for so long? A standard stylized fact in Canada is that we are poorer, on average, than the average American. This has been presented as a fact that is as steady as the northern star. But our evidence on Canadian incomes is pretty shoddy prior to 1870 (here I praise M.C. Urquhart for having designed a GNP series that covers from 1870 to 1926 and links up with the official national accounts even if I think there are some improvements that can be brought to measuring output from some key industries and get the deflator right). But what about anything before 1870? There are some estimates for Ontario from 1826 to 1851 by Lewis and Urquhart (great stuff), but Ontario was pretty much the high-income of Canada. So, can we go further back? This is what my work is about (partially), and I just made available my results on Canadian living standards (proxied by Quebec where the vast majority of the population was) from 1688 to 1775 as captured by welfare ratios. So that’s pretty much the closest we can get to the “founding”. Below are my results derived from this paper. They show that the colonists in Canada were not very much richer than their counterparts in France with the basket meant to capture the meanest of subsistence and roughly equal to their counterparts in France with a basket that includes more manufactured goods like clothing and more alcohol. This explains why most migrants from France to Canada were “volunteered” (in the sense that they were pretty much reluctant migrants) for migration. But the key interesting result is that relative to New England – the poorest of the American colonies – it is poorer regardless of the basket used. Thus, there seems to be truth to the common logic about Canadians being always poorer than the Americans. However, I am not fully convinced of my own results. This may surprise some. The reason is not that I do not trust my data (in fact, I think it is superior to most of what exists for the time given that I will be able to proceed to tons of other data). The reason is simple (and rarely discussed): natives. Natives are always omitted from the stories of living standards. But they existed nonetheless. In terms of national accounts, if the British and French settlers dispossessed and killed natives, their welfare losses are just not computed. But the welfare losses of a musket shot to the head are real. I have always been convinced that if we could correct estimates of living standards to account for the living standards of natives, the picture would change terribly. The reason is two-fold. The first reason is that the historiography is pretty clear that while they were obviously not nice, the French were nicer than the British towards the Natives (at least until 1763 when the British shifted strategy). In fact, trade between French and Natives was very frequent and so it might be that for the whole population (natives + settlers), the French-area peoples enjoyed more growth and higher average levels. In the British colony, if the settlers killed and dispossessed natives, this is basically the British turning native capital stocks into their own capital stock or into consumption (which would enter settlers GDP but not change total GDP). In essence, this is basically a variation on the arguments of Robert Higgs with regards to measuring the American GDP in World War Two and Albrecht Ritschl on the German interwar growth. I am pretty sure that adjusting for the lives of natives would show a greater level for Canada leading to rough equality between the two colonies. However, I am not sure if the argument would cut that way (my guts say yes) since in their conjectural growth estimates, Mancall and Weiss show that with the natives included, their zero rate of income per capita growth turns into a positive rate. Nonetheless, I still think that knowing that the settlers were better off in the US as an improvement over the current state of knowledge. Until ways to impute the value of native output and production are found, my current estimates are only a step forward, not the whole nine yards.